--> The land acquisition ordinance, which the government could not get converted into a legislation in Rajya Sabha due to stiff opposition, was on 3 April 2015 re-promulgated, a day before its validity ends. --> The earlier ordinance is to lapsed as it has not been converted into a legislation during the first part of the Budget session as required under the Constitution. --> PepsiCo India on 3 April 2015 commissioned first phase of its largest beverage plant in the country in Sri City, Andhra Pradesh. --> The plant will manufacture a range of beverages, including fruit juice-based drinks, carbonated soft drinks, and sports drinks. --> When fully operational it will have nine production lines, the first of which was commenced now. 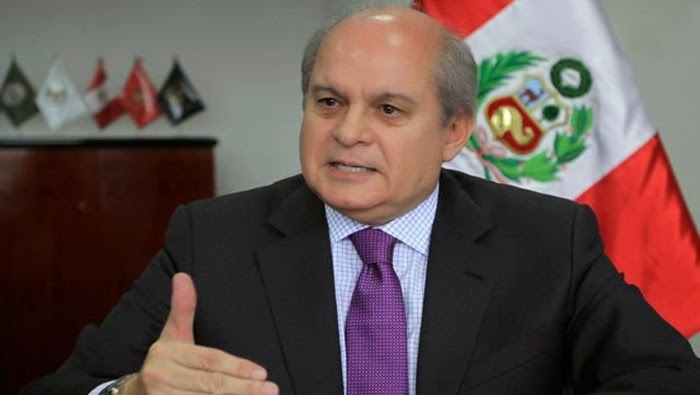 --> Pedro Cateriano Bellido was appointed as Prime Minister of Peru by the President Ollanta Humala. --> He will replace Ana Jara, who had lost a confidence vote and was sacked by Peruvian Congress amid allegations of corruption. --> Saina Nehwal will lose her world No. 1 ranking after her gallant fight against Olympic champion Li Xuerui in the semi-finals ended in heartbreak at the $500,000 Malaysia Open Super Series Premier badminton tournament in Kuala Lumpur. --> The Indian ace squandered a one-game lead and lost 21-13, 17-21, 20-22 to the world No. 3 in 68 minutes at the Putra Stadium. --> West Bengal and Bihar Governor K.N. Tripathi, who has been given additional charge of Mizoram, was sworn in as the 16th governor of the northeastern state on 4 April 2015. --> Justice Michael Zothankhuma of the Gauhati High Court administered the oath of office to Tripathi, 80, at the Durbar Hall of the Raj Bhavan. --> The Centre has given six months' more time to the states for rolling out the National Food Security Act (NFSA), Union Food Minister Ram Vilas Paswan said. --> The deadline, which has already been extended twice for implementing the food law, was ending on April 4. --> Only 11 states and Union Territories have so far implemented the National Food Security Act which was passed by Parliament in September 2013. --> Ace Indian mountaineer Malli Mastan Babu who went missing in the Andes mountains on March 24 during a climbing mission has been found dead. --> Babu was a top Indian mountaineer, having achieved the feat of becoming the "fastest seven summiteer" in the world (172 days in 2006, during which he climbed seven summits on seven days of the week in each calendar month). --> He was also the first Indian to summit Mt. Vinson Massif, the tallest peak in Antarctica and the first person from Andhra Pradesh to conquer the Everest. --> India’s first chess grandmaster, Vishwanathan Anand has been granted the honor of having a minor planet named after him. --> With this privilege, Anand joins former world chess champions Alexander Alekhine and Anatoly Karpov who have had a similar honour bestowed on them. --> The minor planet, now known as Vishyanand, was previously identified as planet 4538 and is located somewhere between the planets of Mars and Jupiter. --> Sim Bhullar has become the National Basketball Association's first player of Indian origin — and also its tallest — after being signed by the Sacramento Kings. --> The 22-year-old originally signed for the Kings in August last year and had been playing for their affiliate team Reno Bighorns in the NBA D-League.